Which wedding Dj should you hire for your Wedding and why? This is a question I get asked all the time when quoting for jobs, especially when the leads come from comparison sites where you get inundated with replies from wedding Djs of all qualities and experience. My advice to brides is to shop around, never just accept the first quote you get and to do your research. 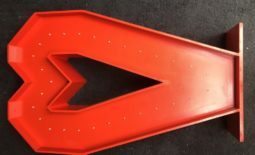 When I buy something for my disco or for myself I read on line reviews, look at the specifications and see if it really fulfills all my needs. I guess that that should apply too for when your choosing your wedding Dj. Well genuine customer reviews from people who’ve hired a wedding Dj must be top of the list. 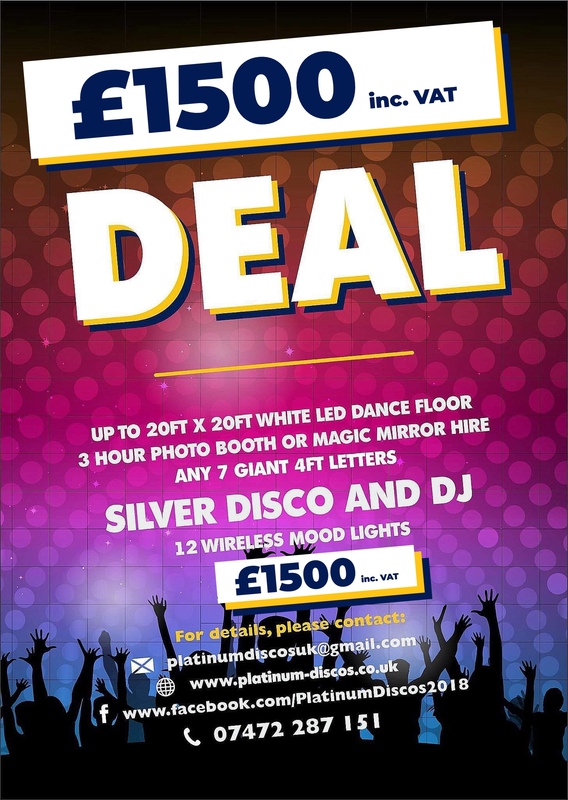 Reviews on independent platforms like Facebook, various comparison sites like need a disco or add to event or poptop are also well worth a look and have review pages for all their wedding Djs. 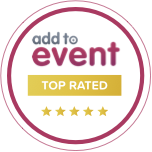 Top quality agents like Alive Network are also worth contacting and they have reviews for all their wedding Djs too. I would also recommend that you only book a wedding Dj who has a proper website that they have had to spend money on to create it. The better the website and the more time that’s been put into it the better. Free pages like Facebook which is a good shop window are all well and good but they are free and take minutes to create so be careful if that’s all they’ve got. A You Tube channel is also a must in my opinion. Mine has over 800 videos on it and shows exactly what I do and what I provide every week. This gives you a very good idea as to what you are getting and how well the night went. Every week I add more videos to my channel to show my life as a wedding Dj in Scotland and Northern England. Price. This is probably one of the most contentious subjects and one that is keenly discussed on wedding Dj forums. There are in my opinion two very different camps: The professional wedding Djs who know their worth and provide a top quality service and amateur budget wedding Djs who are very cheap and their service is of a much poorer quality. Which wedding Dj should you hire? The expensive professional or the budget amateur? Well this really comes down to how much you can afford and how important your wedding or party is to you. This is a choice only you can make but when I buy any goods or service I’m looking for quality, reliability, good customer service and a long warranty. 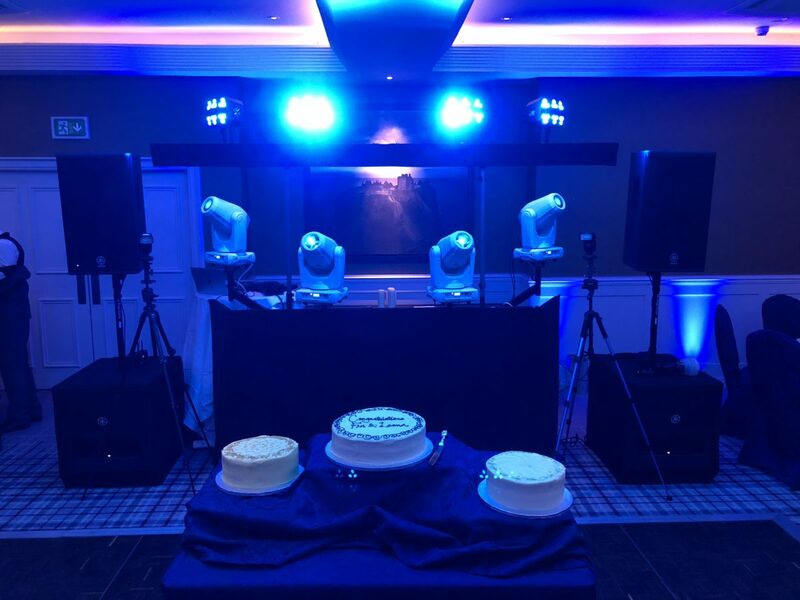 With wedding Djs you won’t get a warranty as such but it’s nice to know if they can guarantee they will turn up and their equipment won’t break down half way through your event. My way to achieve this is to buy top of the range equipment, not the cheaper brands. I have a brand new van with a 5 year 100,000 mile warranty and I have breakdown cover that will get me to my gig. On top of that I carry a full back up sound system from my laptop to the speakers and spare cables for everything I use. If I had a breakdown I could fix it in 5 minutes or less. I also provide contracts for peace of mind. Obviously having a spare set of equipment costs money and is why the professional wedding Djs cost more to hire. Hiring a budget wedding Dj could cost you a lot more in the long run! Experience: Well there is no substitute for this one. The more experience a wedding Dj has the better! And this doesn’t just apply to how he or she entertains. It applies to his or her ability to fix faults, to navigate to your destination and to deal with situations that may arise at your party. I would say this has to be one of the most important buying decisions. When I was 14 and I first started to Dj in Aberfeldy I was very cheap to hire. At £15 for my first gig in 1976 I was a very inexperienced budget Dj who had very little knowledge of music, technical know how and I didn’t speak on the microphone. I played good music and I got by as a Dj but I was just an amateur at that point. Nowadays after 43 years as a mobile party Dj, Club Dj and wedding Dj I’ve got lots of experience and I’ve learnt how to fix things including lights, sound systems and computers. Even setting up a sound system and a microphone correctly needs experience and knowledge. I know thousands of venues all over Scotland and how to get to them. I know how to access the function rooms and I know the staff and I even remember where the power sockets are for every venue I’ve been to. I’ve also learned how to entertain. My musical knowledge is far better now and my knowledge of games and competitions has dramatically increased as have my funny one liners! This makes me a far better wedding Dj. My disco light show. Hire me as your wedding Dj and I’ll create you something beautiful like this. My disco equipment has seen the biggest transformation with state of the art disco equipment now instead of a pair of hi-fi speakers and 6 coloured bulbs which is what I started with and a record deck I borrowed from the local doctor. I believe a wedding Dj has to put on a show not just play music. I don’t think you’d be very impressed if you went to a concert and the sound system and lightshow were tiny and ineffective, so why hire a wedding Dj that doesn’t have pride in their work and is too lazy to put on a real show. I bring lots of equipment to every gig I do as a wedding Dj. Bands always want to plug into my system as it’s so good. Another very important aspect is communication. How quickly does your wedding Dj reply to you by phone and email? I’m always told I reply incredibly quickly, almost immediately in most cases. My booking system is backed up so I can’t lose it or forget your booking and I get reminder alerts. Another sign of a good wedding Dj is someone who replies to your emails with good English, good grammar and good punctuation. I’m often told of some Djs whose quotes are so poorly written that it rules them out from the very start. Are they professional wedding Djs? Unfortunately all Djs are often stereotyped as womanising, beer drinking neanderthals and I’m often told that I’m unexpectedly intelligent, well mannered, well travelled and interesting to talk to. I’m glad I’m not the stereotypical Dj and more of a professional wedding Dj. Ask me to tell you about my story from my trip to Romania. Although not perfect myself I try to do everything as well as I can. I’m very fortunate to have a job that I love to do. It’s been my whole life for 43 years now and one I don’t see me stopping for quite a while yet. I’d like to be a wedding Dj for many years yet. Reliability: a wedding Dj should always be reliable. This means arriving in plenty of time and setting off at least two hours before you need to to make sure you’ll arrive with plenty of time to spare. A full time professional wedding Dj doesn’t have to rush home after work and then fly out the door to get to your gig on time. It’s another reason why people hire me as I like to arrive several hours early to gigs. Anyone can get held up in traffic jams or road closures or bad weather, but failing to plan is planning to fail. If I get held up in a traffic jam it doesn’t bother me because I know I’ve got loads of time. Fully insured and pat tested: This is something else you should always ask proof of. 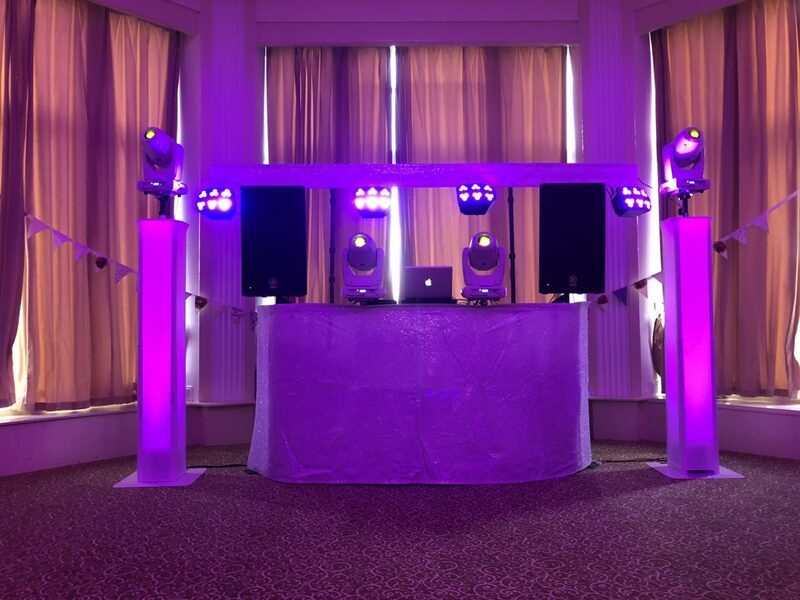 Many venues are now refusing to allow a wedding Dj on their premises unless they have public liability insurance and PAT tested equipment. If they don’t have it you could be held liable! My public liability insurance certificate and PAT test schedule can be found on my website under legal. 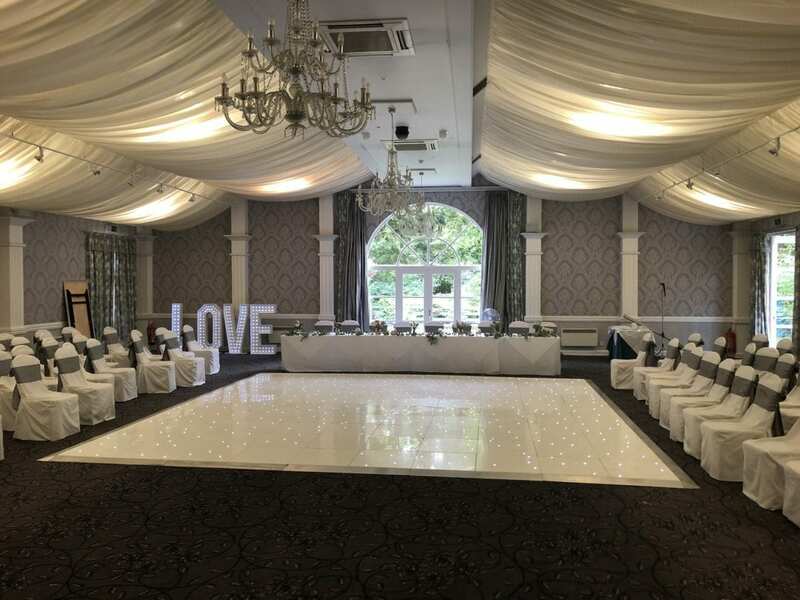 My sparklingly clean white led dance floor and giant letter hire at Keavil House Hotel, Crossford in Fife. Quality of sound: In my opinion a good wedding Dj should have a crystal clear sound system that is powerful enough to fill your venue with sound comfortably. Driving a sound system to its limit all night is not to be recommended as clarity and reliability both suffer as will your ears. My sound system is very powerful at 2.6Kw and this means I can play most small to medium venues with just one pair of speakers. When doing larger venues I bring my big 1,050 watt 18 inch subs and switch my top end speakers into high pass only mode which stops them producing bass. This means the power is concentrated on the mid and top end frequencies as the sub bass speaker is handling the lower frequencies. This puts less strain on the top end speaker and makes for a much better sound with more bass. In really big venues or with very large weddings I can provide my Platinum or double Platinum sound system that takes me up to over 10Kw of sound. Hire me as your wedding Dj and you’ll get a disco that looks like this one. This photo was taken at The Atholl Palace Hotel in Pitlochry in the Bow Lounge. Quality of Lighting: This is probably something you’ve never thought of and one where once I’ve explained my reasoning you’ll understand much better. The ambiance and atmosphere that good lighting creates cannot be underestimated. When your guests walk into a room that looks amazing they will go into party mode subconsciously. I hear guests and clients oohing and aahing all the time when they come into the room where my mobile disco is set up. It always makes me smile. As a wedding Dj I like to impress! This is my larger Gold disco with 4.7Kw sound system. It sounds amazing! 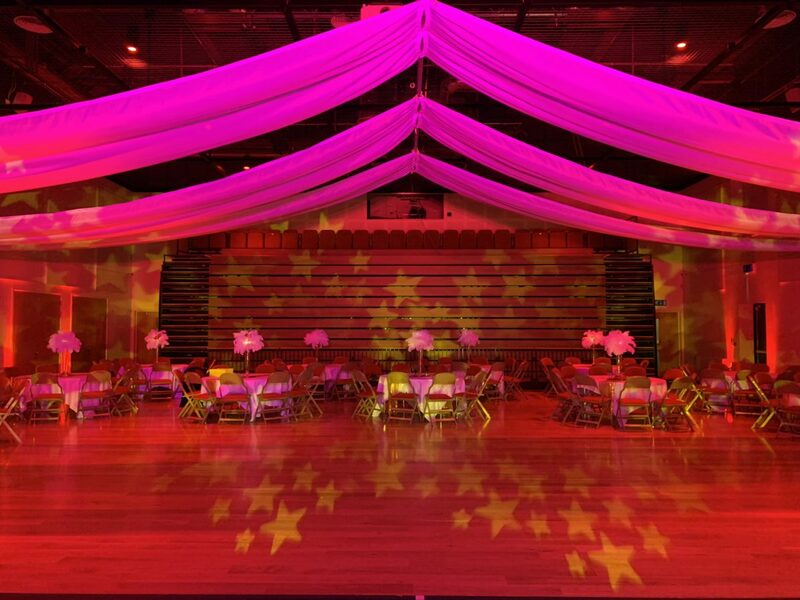 Hire my Gold wedding Dj package and get a disco like this. How smart your wedding Dj is dressed: a professional wedding Dj should wear a shirt and tie or a suit to all weddings in my opinion as a matter of respect. There are several good wedding Djs I know, but there are far more bad wedding Djs that I know of. I would say the cream of wedding Dj talent probably accounts to less than 10% of the Djs in Scotland. Which do you want to hire for your wedding? Like most things in life you get what you pay for and with wedding Djs that’s very much the case! Being a wedding Dj isn’t as easy as you may think. Most people think we just play music by pressing buttons etc. They forget the long drives to gigs on the way there and back again. Usually we arrive before you do and leave an hour after your party has finished. We have to carry up to half a ton of equipment in and then back out of a venue. Sometimes over a long distance and sometimes upstairs! I’m now starting to pick and choose the venues I go to. Ones up several flights of stairs are no longer venues I go to. As a wedding Dj we have to keep up to date with music, answer enquiries by phone and email and do accounts and lots of other paperwork. After a weekend I’m quite literally physically drained but very happy to have entertained and to do a job that I love. I’m always really happy to talk to potential brides and grooms and to listen to your requirements and to make suggestions that I think will help make your wedding particularly memorable and fun. If you would like me to be your wedding Dj please get in touch. Photobooths with huge 6×9 inch prints! Led Dance Floors that really sparkle! Mood Lighting that makes any room look amazing! Wedding Decor to add something extra special! Giant letters for a great photo opportunity! You can find all these and much more on this website. Not all wedding Djs are the same, this wedding Dj will do everything to make your wedding fun and memorable for all the right reasons!